This conversion was carried out in a total of 5 weeks. 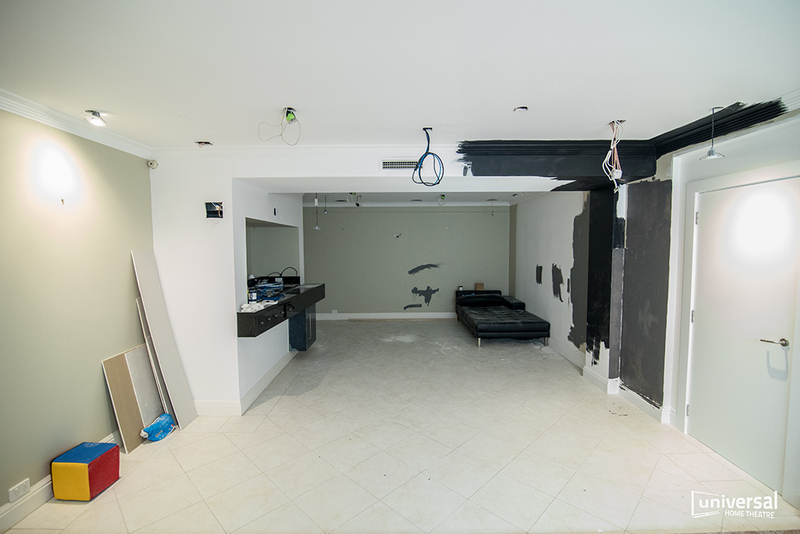 Walls needed to be blocked in, a new door way built, concrete walls chased and wiring run throughout to create what is an amazing Family theatre room. 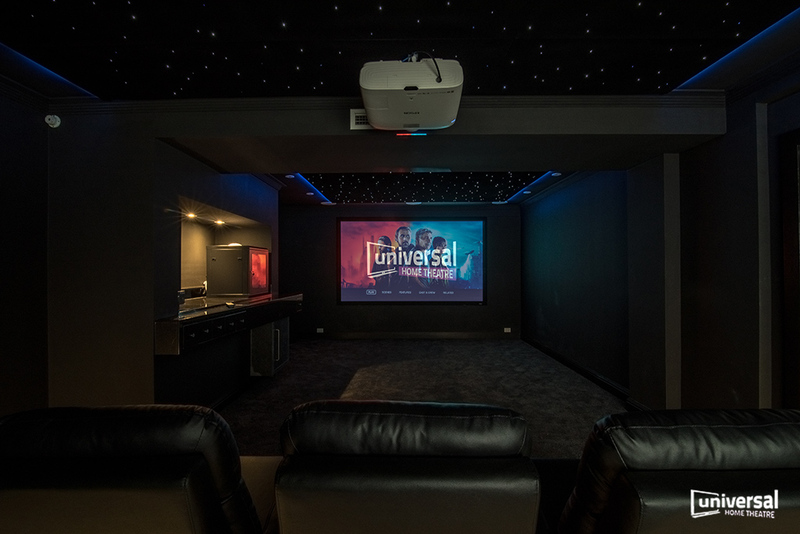 Included in this theatre room, we are housing all of the components in a 12RU data rack to keep everything tidy and out of reach from the kids.